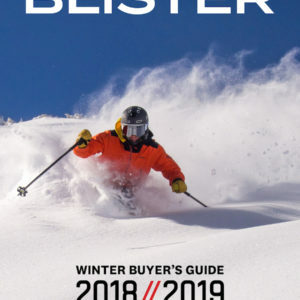 Blizzard introduced the Zero G series this year with the tagline that “the days of sacrificing downhill performance for light weight are over.” They further claim that the Zero G is the “lightest weight alpine ski construction on the market.” The 108 is the widest of four skis in the Zero G line, which includes the Zero G 85, 95, 108 and a women’s-specific 85. We brought the Zero G 108 to New Zealand to compare it to several other skis in the 100-110 lightweight touring category. We were also curious how it would compare to the very popular (and very good) Blizzard Cochise. The Cochise and Zero G 108 share the same dimensions and essentially the same rocker profiles, but the Cochise has a “double Ti construction’ with a poplar-beach core, while the Zero G 108 has no metal, and a lighter, paulownia core. The 185cm Zero G 108 has a very similar flex pattern to the 185cm 15/16 Cochise. The tails are subtly stiffer than the tips, and we would call it medium+ / stiff- flex overall. Our test pair of Zero G 108’s has 1-2mm less camber underfoot than the 15/16 Cochise, and is almost flat. The Zero G has 5mm less tip splay than the Cochise and appears to have a little shorter rocker length when measured side by side. These differences are subtle, and could easily be (like the flex pattern) small variations in the manufacturing process rather than intended design differences. 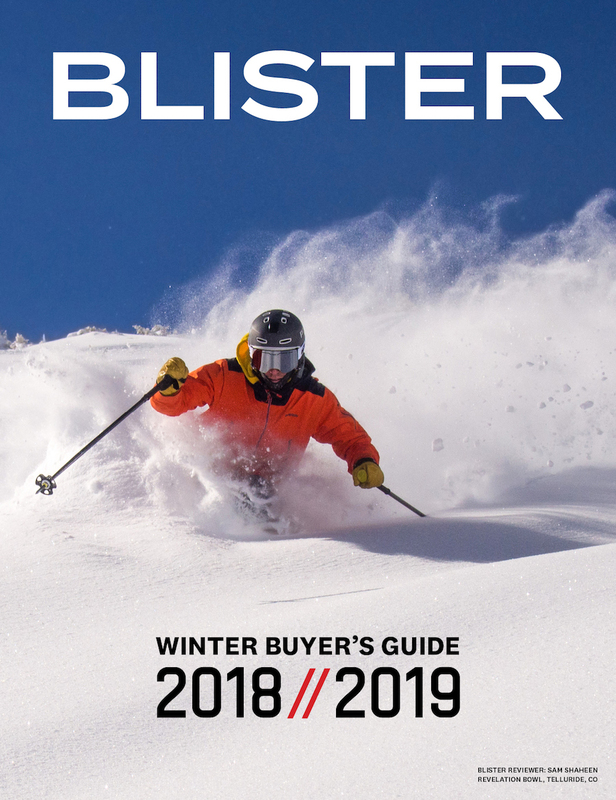 The Zero G 85 and 95 have some very impressive reported weights for their widths—1250g and 1330g respectively, per ski—and are competitive with some of the lighter touring skis on the market. At ~1750g per ski, the Zero G 108 is comparatively heavier for its width than the Zero G 85 and 95. While those skis are light for their respective categories, Blizzard didn’t shave weight at all costs with the Zero G 108. You can find lighter touring skis of a similar length and width, like the 184cm DPS Tour 1 112 (stated weight: 1550 grams per ski) or the 188cm Black Diamond Carbon Convert (stated weight is also 1550 grams per ski). 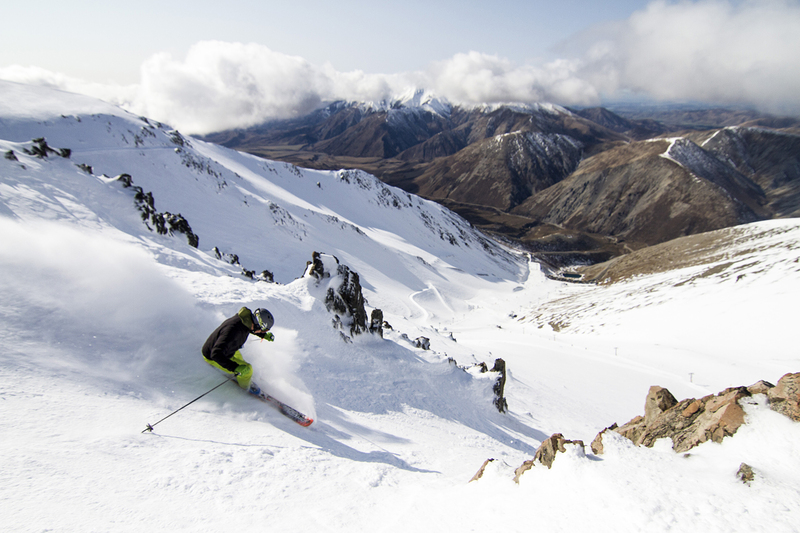 We started our skiing this year in New Zealand on the tail end of a storm that deposited up to a foot of snow throughout much of the country’s ski fields. But high winds followed the new accumulation, and left us with several days of variable, mixed conditions, both inbounds and in the surrounding backcountry. We started our trip at Porters Ski Area, where much of the inbounds snow was chalky, smooth, and wind buffed. Within my first 100 vertical feet of the trip, I found myself sliding into a short rocky chute that pinched down to slightly wider than my ski length, and poured out onto a smooth apron. Paul Forward on the Blizzard Zero G 108, Porters Ski Area, NZ. I hopped in tentatively, but was reassured by smooth, grippy snow. By the third or fourth turn, I felt comfortable enough to skid a few quick turns out the bottom and let the skis run onto the smooth chalky apron. From that first run, I was immediately impressed by (a) how light the Zero G 108 felt while jump turning in the tight chute, and (b) how stable they felt on edge while laying them over on the firm snow. This became more or less the theme of my experience with the Zero G’s. Despite having spent most of my ski life riding big, open terrain in Alaska, I get a lot of pleasure out of jump turning through tight chutes and steep terrain. So fortunately for me, the Canterbury club fields offer a lot of this kind of skiing. At a little more than 1700 grams per ski, it’s not surprising that the Zero G 108 feels quick and nimble in the air. What is more remarkable is how stable the ski feels when finishing the turn upon landing. Whether smashing down on a hard-carved edge, or landing on a soft edge and easing the ski tentatively into a carve on icy snow, the 108 engages predictably and holds a line. 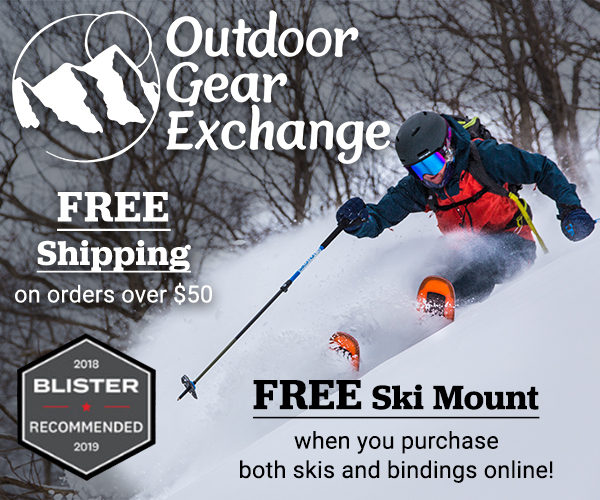 This is a great combination if you’re looking for a ski to use in steeper terrain or situations more akin to ski mountaineering. 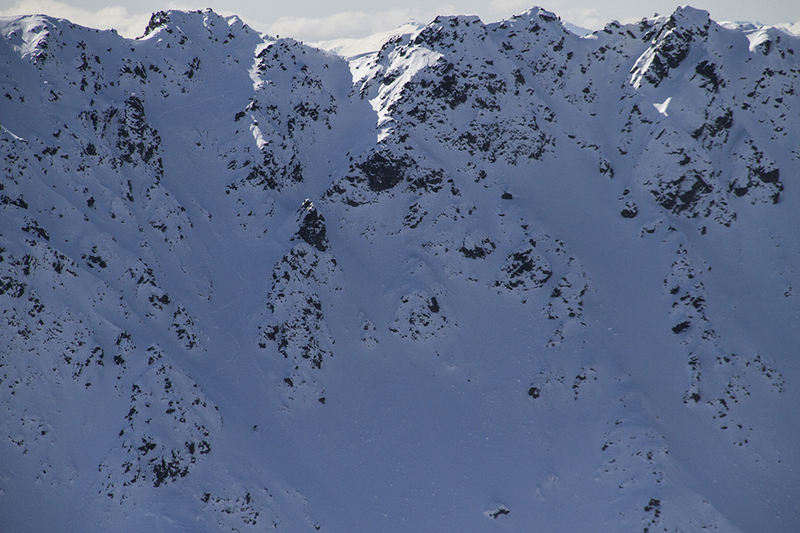 When dropping into lines that were a bit more exposed, for example, on the south face of Mt. Wall near the Cheeseman club field, I had little hesitation on the Zero G 108 knowing that I could hop and edge with little worry of skidding out of control. Paul Forward on the Blizard Zero G 108, Mt Wall, NZ. My only quibble with the Zero G in these conditions is much the same as with the new 15/16 Cochise. When making jump turns, I like to land with the tips first and then push the ski into the turn. This allows me to pivot on the front of the ski, and to more easily control how much edge angle I want to apply. Compared to skis with a more gradual overall rocker (maybe less tip taper? ), the Cochise feels somewhat vague in the tips. It’s admittedly a little tricky to explain, but I think it’s a combination of the increased early tip taper and the tip rocker profile. If I make first contact with the tip, easing onto the edge feels somewhat hinged on firm snow. This is something I got used to quickly, but it made an impression on me. On skis with more subtle elongated rocker and less tip taper (like the Volkl BMT 109) the transition from starting the turn to engages the full edge of the ski is smoother. NEXT: Open Terrain, Chop, Etc. I found that the 15_16 cochise, when laid out hard in softer snow on groomers, is very unpredictable when the tips are not detuned. Once the ski attains a certain edge Angle, it wants to turn violently. How would you compare the zero g to the vwerks katana, which is my current bc ski for all conditions? Primarily in steep chutes, or in bad snow? Hi Rod, Thanks for your comment. Neither Jonathan nor I have experienced the tune issue you mention with the 15/16 Cochise. I have skied quite a few skis that really needed a detune, but don’t feel like the current Cochise falls into that camp so much. (Jonathan did detune the 15/16 Cochise to loosen the ski up a bit, but didn’t feel like the ski was behaving in an unpredictable manner.) I’ll keep that in mind though. Regarding the V-Werks Katana, stay tuned for more comparisons on the skis in this class on the site. For now, I’ll just say that even though the waist difference is small, the Katana feels like a much fatter ski to me. Thanks again for reading and commenting. Any chance a review of the ZeroG 95 happening soon? If not, how do the rocker profile and flex compare to the 108? Earliest we’d be able to review the 95 would be in October / November. But Paul Forward and I were just checking out a pair at Gnomes Alpine Sports in Darfield, and Paul and I are both very impressed with the flex pattern. It’s stiff, but not stupid stiff. Honestly, the light weight and flex pattern of the ski feel pretty money, though we’ll have to get it out on snow. As for the tip rocker, it seems roughly comparable to the 108 (we haven’t yet done a side-by-side comparison). I.e., the rocker profile / tip splay of the 95 looks good. We’re currently getting time on the Salomon Explore 95, and initial impressions of that ski are quite positive. But it seems like the Zero G 95 could also impress. thanks, Paul. I’m also interested in how the skis compare on hard icy snow. Sometimes couloirs get firm. I like the vwerks is katana on firm, it seems even better than the bonafides it replaced as my bc ski. I don’t know if you have any time on them or know anyone who does, but do you know if these would compare to the Voile V8 favorably or not? Hi Mike, I’d love to try the v8’s but haven’t skied them yet. Will be sure to compare directly when/if I do. What was the brake width that you used for the kingpin? Also do you have any comments on the mounting position? Hi Henry, sorry for the late reply. We mounted at the factory recommended point and did not feel any need to move from there. Also, I believe the brakes on ours are the 100-125 version. Are you able to compare this with the Armada Kufo 108? Flex, stability, weight, etc.? Are these rocker profile shots natural camber or decambered? Woah! Mine have like 4 mm camber and zero tail rocker. Hard to believe there’s that much variability in the production. I was hoping the rocker profile would be more like the pair you guys tested. Interesting. Come to think of it, a friend of ours picked up an early pair of ZeroG 108s, and he still has them. And now that you mention it, I remember him saying that he thought they had a surprising amount of camber. I’ll check with him to see if his do, in fact, have a camber profile closer to yours / what you’re describing. mine definitely have camber, a decent amount, 3-4 mm probably per ski I’d estimate. Mine look like yours when they’re decambered but the profile is pretty traditional at rest. Good amount of camber at rest. Not a whole lot of tip rocker (obviously it gets more when decambered). Tail rocker is only evident when the ski is decambered. The variability in camber is absolutely real. I’ve almost flat 178s and 3-4mm cambered 178s. I saw the cambered ones first and wrote off the ski as I want the ability to slide/slarve that the Scout gives me. I then came across almost flat pair and drooled. Don’t buy online, I guess. Any Idea on how these compare to the Volkl 100eight? Looking the volkl or the zero g as a one quiver ski, any comments on the performance between the two would be appreciated. I know the Volkl is fully rockered. Thanks. Hi Duke, I have skied the 100eight and it’s a fun ski for sure. I believe they are quite a bit heavier than the Zero G and BMT 109 to which I compared the zero g earlier this year. Check out that comparison review. I would say that much of what I said about the BMT 109 applies to the 100eight as it has a similar shape and rocker profile. I haven’t skied the 100eight enough to say that with full confidence though. Back to the camber question. I bought a pair of these yesterday. Shoped three stores in Seattle. I did not see any 178s with anywhere nearly the rocker profile of the 185s I ended up with– which looked identical to the rocker shown here. All the 178s I checked had much more camber and less rocker. Interesting that the store rep (200 lb, 20 something on 185s) said he detuned the tips and tails and had the shop regrind the bevel to more easygoing angles (forget exactly). After all that he said they “will sort of” slarve but “still lay railroad tracks pretty easy”. But hey, that’s a PNW, not vermont POV. I finally got to ski these for a day on Whistler and man, they are sweet! Whistler was having one of those snowing at the top of the mountain, nothing in the middle and rain/fog on the bottom of the mountain weather systems so there were a lot of conditions to play in. The Zero G handled light snow, heavy snow, mank, wind scour and groomers with ease and stability. Such a fun ski! The only time I felt insecure on them was railing straight through some firm pre-mogul mounds of snow where their lightweight allowed them to get pushed around a bit (I’m coming from Belafontes as daily drivers so getting pushed around isn’t what I’m used to). FWIW these demos had about 4mm of camber in the 185cm length. 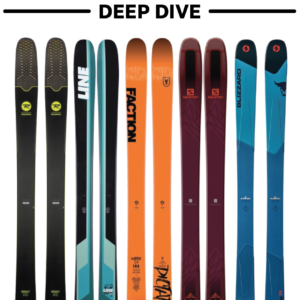 While looking at similarly waisted lightweight skis I have ran across two that I would love to hear you guys touch on, those being the Moment Underworld and 4FRNT Raven. The Raven is a little heavier but has nearly an identical camber profile as the Zero G 108. I’m sure you guys have many, many pieces of gear to put through the wringer and copiously take notes on so I’m just giving a bump to these two. Oh, and the Vipec binding ;). Thanks for the awesome reviews! Thanks for the review. I have the Zero 95 and now thinking about the 108 in addition. It was interesting at how a carbon ski responds. I likened it to my carbon sup. It just keeps going faster. I talked with a friend who is in the sup business and told me that carbon stores energy and begins to release it as it is turned on a dynamic force is applied. I kept thinking the ski is picking up speed without throwing you into the back seat. It is a strange sensation maybe because of the skis weight you wouldn’t think it would picking up speed; however, it was easy to control the speed of the ski and shut it down if needed. 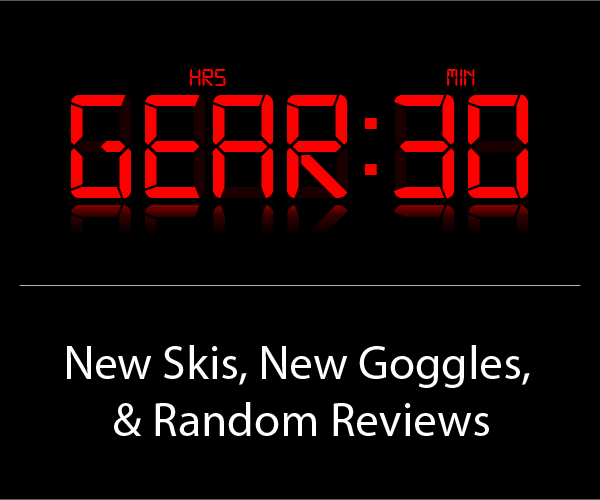 Those are my observations about the skis. Thanks again. 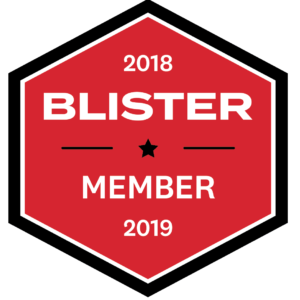 I’m 6′, 165lbs, 39yo, ski 20-30 resort days (Squaw/Alpine) + 10-20 BC days a year, mostly Tahoe area, but also a few bigger objectives in the E Sierra and Cascades. Expert skier, strong technique. Replacing my 8+ year-old BD Kilowatts (95mm, 175cm), which I like but need retiring, and want to replace them with something wider, longer, and with tip rocker (i.e. better in pow). These would be my do-it-all quiver-of-one BC ski, 100% touring, mounted w/ Radical FTs. From all I’ve read, the Zero G 108s sound great, but I’m looking at year-end deals and can only find the 178s. Both pair of resort skis (daily driver & pow) are 185cm, and while I tend to dial it back in the backcountry, I’ve often found myself wishing for more ski than the 175 KWs at speed and in deeper snow. On the flip side, I ain’t gettin’ any younger, and a little shorter/lighter isn’t the worst thing for longer days or in tight/techie terrain. So, the million dollar question (or $560 question)…will I be sad on the 178s? I have my Blizzard’s 185’s for sale on KSL for $650 with Vipec 2016-2017 and BD skins. I have had some knee and hip problems so I was told to consider a less demanding ski. Anyway have a look and let me know if you have any interest. They are in mint condition. Thanks Willis. Looking @ the 108. The “with rocker” part of your comment has me a bit concerned about the178cm zg108. I’m 6 ft 180lbs on the 185 w/tele gear and thinking a 193 might be pretty fun. And not all that young either; age 40 was a while back. In terms of Cy W’s recent review, (Toors lite) I like both trad mount (zero g) and center mount-ish skis (praxis protest) pretty equally, but gotta say this is a refined ride and not a handfull for that further-back mount. As spring days keep coming, I’m not finding many weaknesses– by comparison the speed limit is higher than the BMT 94 (186) or the 184 Deathwish, but is no harder to ski. BTW– very basic detune has worked just fine–no hint of tip or tail hooking. Thanks Patrick. Helpful comments. By “dial it back” I meant my skiing in the BC, not the mount position. i.e. I try to keep speeds under Mach 3 and cliffs <20' when touring. Nice review. I find the ‘real world’ measurements that you normally make in a review can be useful, especially since no other reviewers seem to be so thorough. How about it for the 185s? Hi. I’m thinking of either the Zero G 108 or the Crows Corvus Freebird. How do you think they compare? (80.1 cm + 11.1 cm) * 2 = 182.4 cm != 183.5 cm, so something doesn’t quite add up. The recent Cochise measurements are also off similarly (80.2 cm + 11.05 cm, and 183.5 cm measured length). Ah, looks like a slight typo. Just updated the specs on both skis.